Residence Inn Santa Barbara Goleta was built to enhance extended stays and short-term visits. Our brand-new hotel provides easy access to Santa Barbara and an array of popular attractions including Sterns Wharf and University of California, Santa Barbara. We also offer a free shuttle to and from Santa Barbara Municipal Airport. Our modern hotel suites with complimentary Wi-Fi and flat-panel TVs are waiting for you. Fix a meal in our in-room kitchens featuring an array of cooking utensils and tableware. Get your fill each morning at our complimentary breakfast buffet with a selection of favorites to choose from including hearty eggs, fresh fruit and warm oatmeal. Join us every Monday to Wednesday night for free hors d’oeuvres and drinks at our social hour, The Residence Inn Mix™. 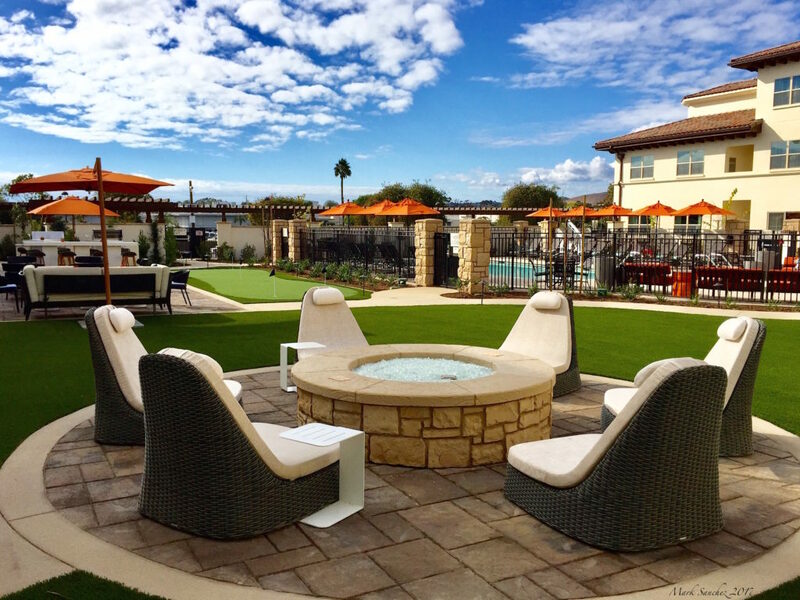 Soak up the sun in true Californian fashion at our outdoor pool boasting scenic surroundings and a whirlpool. Whether in town visiting college campuses or clients, Residence Inn Santa Barbara Goleta makes your stay easy. From conferences to receptions, our event room is equipped to meet your needs with our catering options, high-speed Wi-Fi and custom seating plans.